Bricks 4 Kidz is delivering a range of LEGO® themed workshops during the February mid term break for girls and boys aged 5 – 12 years across South County Dublin. Come join us! Would your little master builder like to join us for our awesome LEGO® themed Mid Term camps during this February break? 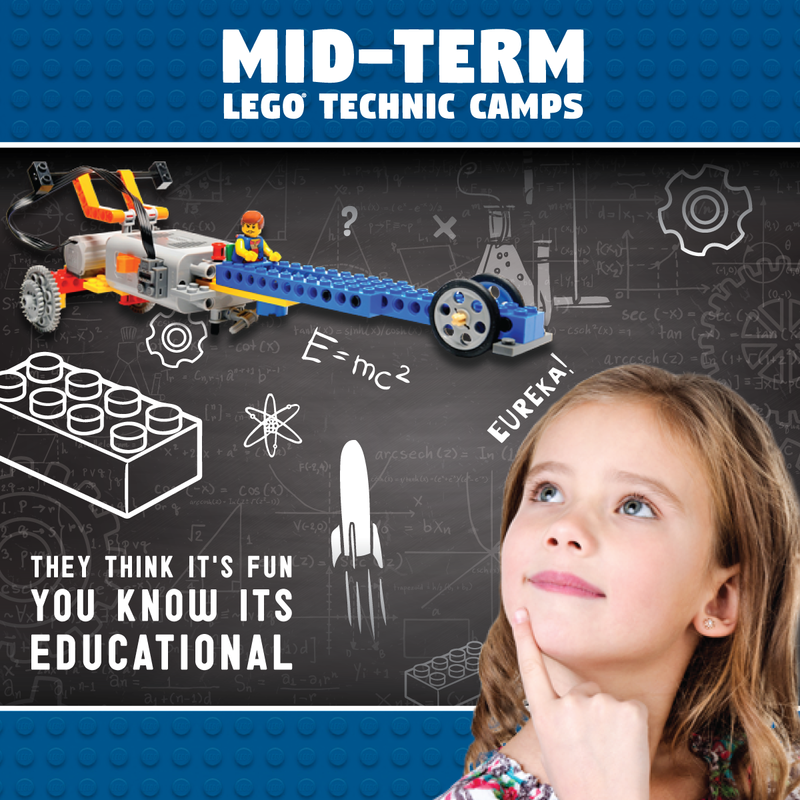 Our February Mid Term camps provide your child with fun & educational entertainment, creating LEGO® builds with new friends. Our LEGO® camps have been designed to teach the principles of Science, Technology, Engineering & Maths (STEM) in a fun and entertaining way. Guided by our experienced Garda Vetted lego tutors and built around exciting themes such as Minecraft, Star Wars, Jurassic park, frozen and Super heroes, children will enjoy using LEGO® to build specially-designed Bricks 4 Kidz motorised models.